I hope you are all enjoying the Christmas season! I am! Can you believe it's already only 9 days until Christmas? I like that Thanksgiving and Christmas are close but it can be hard to get all the decorations up in between. 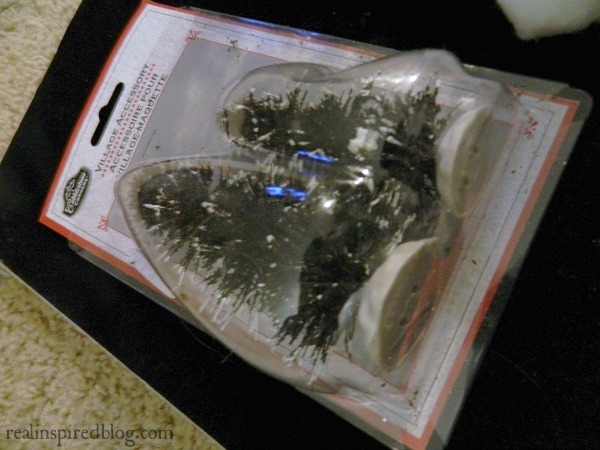 After all of us being sick the last couple weeks, I needed some quick, simple, and cheap Christmas decorations. 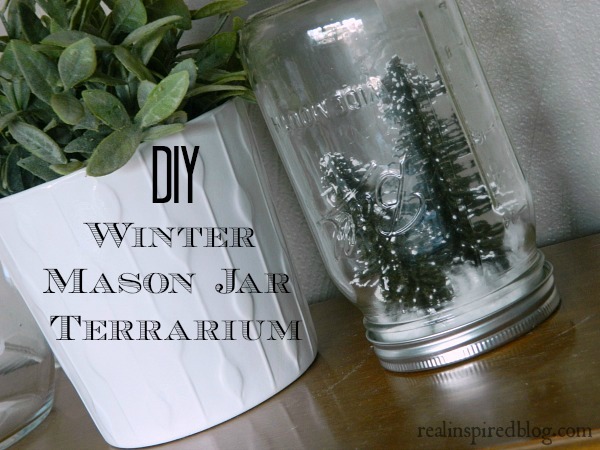 This DIY winter Mason jar terrarium came together in 5 minutes! 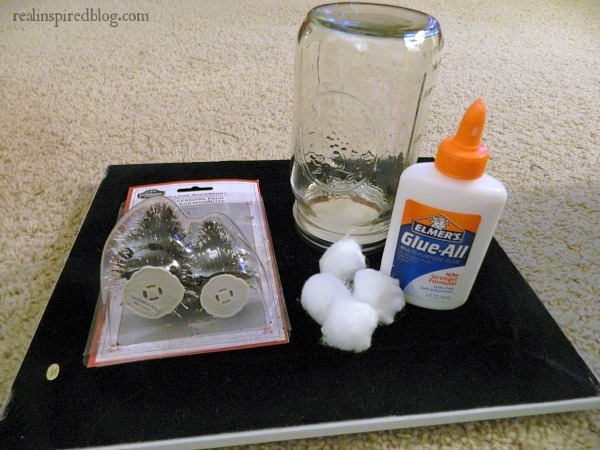 Thanks to Pinterest, Mason jar crafts are the big thing. To be honest, I have never been a fan of the Mason jar fad. I love jars and all, but I just wasn't into it. BUT, I think the Mason jar snow globes and terrariums are adorable! So I made one. I made a terrarium instead of a snow globe because I didn't have time to go looking for fake snow but I'm wanting to try one next! I already had a bunch of quart-size Mason jars that I bought in a pack at Walmart. They are very easy to find at thrift stores too. They might not have a lid, but those are easy to replace since lids can't be reused for canning anyway. I know our Walmart sells just the lids. 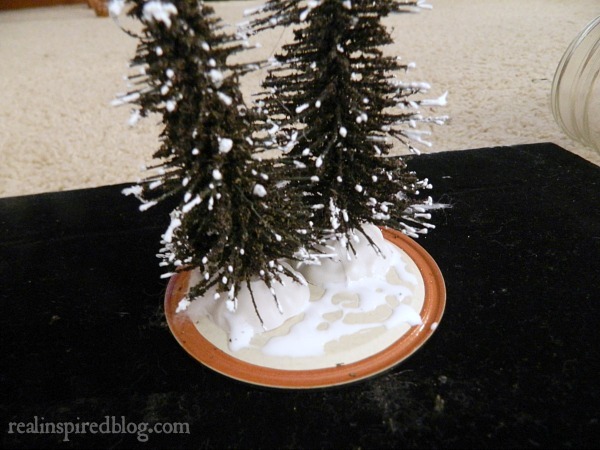 The lid is the base for the terrarium so the first step was gluing the trees down onto the lid. 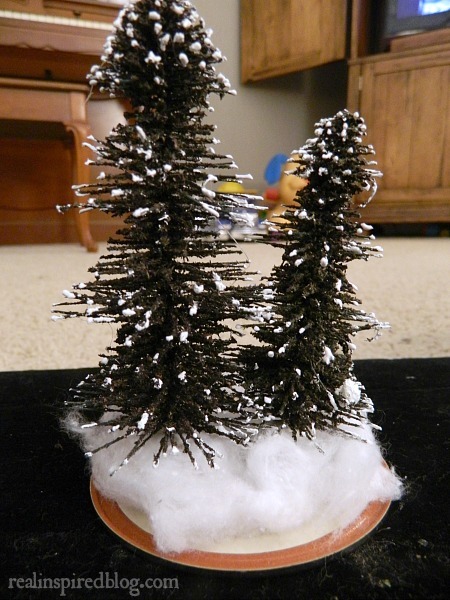 After placing the trees, I held them for a minute until they set in the glue before I moved on to the next step: snow! 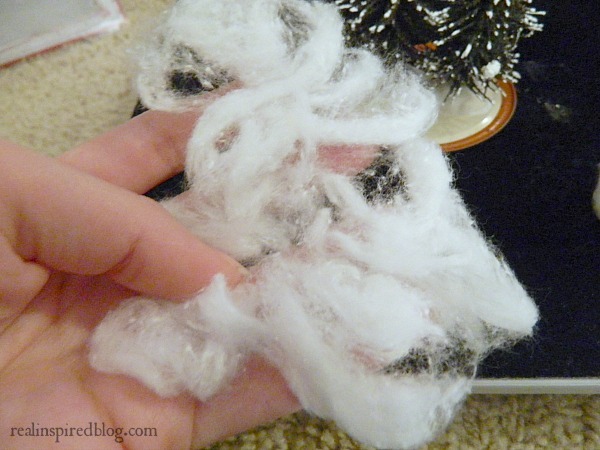 I tore up the cotton balls and then glued them down around the trees. I used about two, but it really depends on how much snow you want. I only glued the first cotton ball down to the lid, the rest was just piled on top since cotton balls stick to each other pretty well. 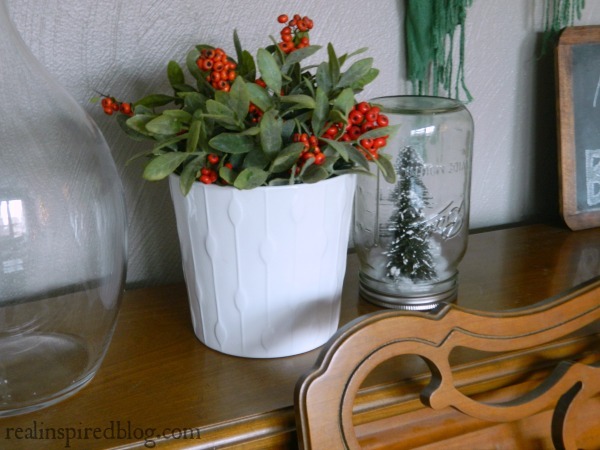 It was easier for me to bring the jar down over the lid and trees rather than put the lid on top of the jar as usual. I picked it up gently hold the lid onto the jar, tipped it to the side, and screwed on the top. I know it's simple and cheap but I still like it. I think a fake snow one would definitely be cooler though. What do you think?